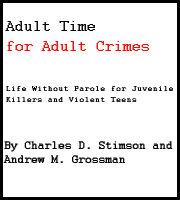 Now that the US Supreme Court has declared that life without parole sentences cannot be mandatory if the offender was under 18 at the time of the crime, we are all now in a period of significant legal and legislative activity in states and even federally that will affect many, many murder victims family members. NOVJL continues to be concerned that many of these families have no idea that their loved ones’ killers’ natural life sentences might be changed. Most victims families walk away from a natural life sentence after a horrible murder in their family believing that the worst is now over. The most significant issue now is the debate over whether or not the Miller ruling should be applied retroactively, with the well-funded juvenile advocate community pushing massive resources into legal challenges and legislative campaigns that demand all past and long since closed cases be re-opened, no matter the consequences to victims families. Legal scholars tell us that there is no correct legal theory under which this ruling could be applied retroactively, and we agree. This testimony before the Michigan legislature summarizes it well. The reported 29 states that have mandatory life without parole sentences available in certain crimes that could include juveniles transferred to adult court will have to change their laws going forward relative to those juvenile offenders. 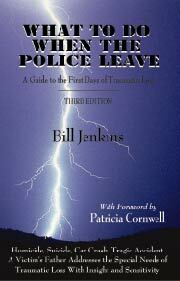 State laws and situations vary widely. There will be court cases battling over whether or not the ruling can be applied retroactively. And individual offenders who are serving JLWOP sentences for the murders they committed will be challenging their life sentences if they were mandatory when given. We estimate that of the 1300 or so JLWOP offenders nationally that many of them will be able to mount challenges and ask for re-sentencing. We also estimate that most of those cases are NOT still on direct appeal, and therefore will not likely all be found able to claim that the ruling is retroactively applicable. No doubt, the months and even few years ahead will be re-traumatizing for victims as cases are re-opened. On many pages on this website, from news links to state and offender pages, in addition to our Twitter feed, you will see links to many new legal challenges based on the Miller ruling. We ask everyone to please send this website ALL such information – state legislative hearings and proposed bills and changes; individual offender court challenges; and any news media covering this. Email us at NOVJL@aol.com. Read our statement following the ruling on a legal blog. And we are finding that in many cases where the offender has sought sentencing relief under Miller, they are being sentenced AGAIN to natural life, or a very lengthy almost-equivalent. This may be, in the words of Shakespeare, “much ado about nothing”. Victims families will have to endure the “much ado” but the offenders’ sentences in many cases, as we have been predicting, will not change at all. This organization summarizes Miller one year after the ruling from the offender-support point of view. And this organization that supports offender sentencing reduction summarizes the state of things post-Miller here. This chart from Pew Foundation (which opposes life sentences for juvenile killers) summarizes the state developments as of Aug 2013. It is not entirely accurate, however, including stating that Illinois is now a “retroactive” state when it is not – the Illinois Supreme Court has not ruled on the retroactive matter, so it should be listed as “pending”. And the Mississippi ruling was mistakenly interpreted and that state is still “pending” as well, legal experts tell us. Also read about the confusion with Louisiana here. So this chart from Pew, while giving some helpful information, oversimplifies matters not at all legally settled in some states and leans towards making it appear that retroactivity is happening more than it is. Who Will Pay For The Aftermath of Miller? In short – you and me. For example, see the use of taxpayer funded public defenders already being decided. And hearings in California have been estimated to be costing between $175,ooo and $650,000 per inmate per hearing, according to legal experts. We regret that NOVJL has neither the staff nor the funding (we have none, those who murdered our loved ones are represented VERY well) to provide a complete overview of what is happening nationally following the pivotal Miller v Alabama Supreme Court ruling in summer 2012. We will post here and elsewhere on this website whatever we find, with the goal of keeping victims families as informed as we can. – The Pennsylvania Supreme Court rules October 30, 2013 that Miller v Alabama is NOT to be retroactively applied. – The Louisiana Supreme Court ruled that Miller is NOT retroactive. – The 9th Federal Circuit in California finds that the California life sentence for teen killers is not mandatory and, since it was discretionary, does not fall under the Miller ruling and the offender is not entitled to sentencing relief. – The Third Circuit in Pennsylvania grants limited retroactive application of Miller to three offenders. Questions remain if it applies to any other offenders than those three. Advocates for offenders continue their hard, well-funded push to apply the sentencing relief to all current and previous cases of juvenile killers sentenced to life for their crimes. Here is more coverage. – Nebraska passes “Miller-compliance” legislation following the three principles in law that most victims families and legal experts support: 1. It is NOT retroactive 2. LWOP remains an option for sentencing offenders 3. The optional sentence for offenders still has the earliest parole opportunity at 40 years – a good, long sentence. – South Dakota inmate wins sentencing relief . – Iowa’s Governor pre-empts appeals by juvenile offenders and commutes them all to life with parole, but only after 60 years. We think its a GREAT solution for Iowans everywhere, and victims voices were heard. This was later overturned by the Iowa Supreme Court, sadly. – Three state Supreme Courts rule that Miller is to be retroactively applied in 2013 – Iowa, Mississippi (though that ruling is considered legally inept by some scholars and may have to be clarified) and Massachusetts. This important testimony submitted to the Pennsylvania state legislature by legal experts Cully Stimson and Arnold Grossman, and on behalf of the former US Attorney General Ed Meese, lays out the path before legislators working to implement the ruling. A California Judge explains the continuing constitutionality of life sentences or de facto life sentences for teens who kill. The California Assembly passed SB 9 in August of 2012, after its affirmation in the Senate earlier this year. See our California pages for more information on this bill that we believe is unconstitutional as passed. “A bill that would have given juvenile offenders a chance to possibly have their sentence reduced by the parole board was just one of hundreds of bills that died last week on the Senate calendar. The other factor, which played into the defeat of the bill, may also have been the fact that Sen. Eric Coleman, co-chairman of the Judiciary Committee and the bill’s main proponent, was absent during the final few days of the session because of emergency surgery. It passed the House of Representatives on May 21 almost unanimously by a 137 to 4 vote, but was still on the Senate calendar June 5 when the legislative session ended at midnight. Capitol sources say Sen. John Kissel, R-Enfield, was the main obstacle to passing the bill. Kissel, who was unavailable for comment Monday, sent a statement explaining his concerns with the legislation. ‘We seem to be more focused on the offender and not the victim,’ Kissel said. ‘The bill had been before the Senate for at least a couple of weeks. If the majority party was really intent on getting it through the process, they had plenty of time. We were going to have a lot of questions about the bill if it was called.’ In the meantime, the trio of U.S. Supreme Court decisions still stand and could be used by Connecticut inmates, who committed their crimes as juveniles, to bring their cases back to court for re-examination. ‘It could be applied without an opportunity to set up a structure handle these cases,’ Judge Shortall said Tuesday. ‘That’s why we offered the legislation.’ He said there are already habeas cases in the pipeline waiting to see if the legislation passed. Since it didn’t, the Connecticut Supreme Court may be forced to weigh in on the issue before the next legislative session. The state’s highest court has decided to hear a case in which Ackeem Riley, seven months shy of his 18th birthday, was sentenced to 100 years for his involvement in a revenge-motivated drive-by shooting in 2006, where one person died and two bystanders were injured. Earlier this year, the state’s Appellate Court upheld Riley’s sentence in a split decision when it affirmed the trial courts judgment in the case at the same time as agreeing with the U.S. Supreme Court’s decision that judges must have flexibility in juvenile cases. ‘Because the court exercised discretion in fashioning the defendant’s sentence, and was free to consider any mitigating evidence the defendant was able to marshal, including evidence pertaining to his age and maturity, we affirm the judgment of the trial court,’ the decision reads. This article from the Tampa Bay Times discusses the problems that the Miller ruling will pose for victims families and the challenge to the Florida Legislature to fix their state laws, giving an optional life sentence for teens who kill. 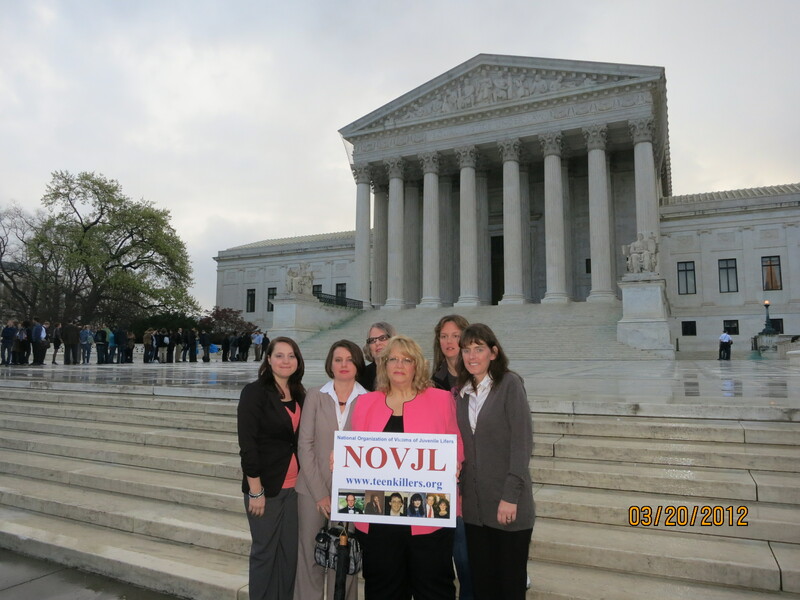 Illinois victim members of NOVJL are already working with legal experts to support legislation to help Illinois comply going forward with the Supreme Court ruling. Much legislative activity is still pending. The Illinois Supreme Court will hear oral arguments on the issue of the retroactive application of Miller v Alabama on January 15, and NOVJL plans to make sure the public feels the victim presence there. We believe that key to understanding Illinois’ situation is that the Illinois Supreme Court in 2002 already ruled in a way that created a court-ordered option out of JLWOP sentences for teens who kill, so Illinois is already in compliance with the recent federal Supreme Court ruling. That ruling also established that such changes in sentence could not be retroactive. Illinois, like other states, will consider legislation to clean up the law prospectively (going forward) but since the 2002 IL Supreme Court ruling declared that such changes were not retroactive, unless a JLWOP case is still open under direct appeal, the only sentences that will be changed will be future ones. Offender advocates initial over-reaching attempt to turn the Miller ruling into broad sentence reductions for thousands of violent juveniles, not just lifers and murderers, failed resoundingly in Illinois in the Spring of 2013. We look forward to the fall legislative session to work out a bill that does not re-traumatize victims, dismantle Illinois sentencing infrastructure, endanger the public, and brings us into compliance with Miller. We also wanted to share this story just to illustrate how wacky all this gets for victims families to watch: NOVJL had to denounce a ridiculous strategy by Chicago-based defense Attorney Joel Brodsky. He argued unsuccessfully that the recent Miller Supreme Court ruling means that his client, 17 year old accused of participating in murder of Palos, IL couple, can’t even be CHARGED with the murder. Mr. Brodsky, you went to law school. So we assume you understand the difference between how you CHARGE a defendant and how you SENTENCE them, right? If there is evidence that this young man participated in a pre-planned murder, then he should be so charged. There is already clarity from the Illinois Supreme Court after 2002 that JLWOP cannot be mandatory. Fortunately, Mr Brodsky’s argument was legally rejected and the accused was charged with murder. The Indiana Supreme Court, following the Supreme Court ruling in June 2012 declaring mandatory life sentences for juveniles who kill, ruled a juvenile’s life sentence to be entirely approporiate. As we predicted, most of these life sentences will be given again, raising the question – was all the additional trauma for victims and financial burden for the taxpayers worth it, just to give the same sentence over again optionally to most of these offenders? 1. He consulted with all victims families ahead of time and got their buy in. 2. He complied with the Supreme Court ruling against mandatory JLWOP sentences for teens who kill. 3. He saved the taxpayers a TON of money by cutting off at the knees all the legal wrangling from all the potential new appeals from all the offenders. And he saved the state, the victims, the courts a lot of hassle. And he protected public safety. And this Governor understands the important reason – going to parole hearings for the rest of their lives is incredibly traumatizing for victims families. He tried to put an end to much of the hassle. Period. Love this Governor. 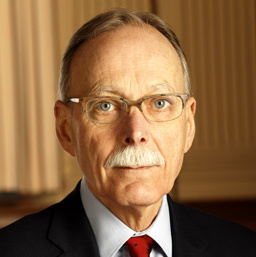 The Iowa Supreme Court undid his good work later in 2013. The well-funded juvenile advocacy community persuaded the Massachusetts Supreme Court to find for retroactivity in late 2013, opening up new trauma and uncertainty for victims families. Michigan’s prosecutors agree that the Supreme Court ruling should not be applicable retroactively unless the case is still open on direct appeal. Read more from the Michigan Attorney General. The legislature will be voting soon on competing proposals and an important public hearing on the issue will be held at the state capitol on August 14, 2013. Jody Robinson and Jim Sorenson, NOVJL Board members are working already with state leaders, prosecutors and the Attorney General to plan next steps in Michigan, a state with a high number of JLWOP cases. Prosecutors work to be proactive on cases of Michigan teens who kill. Here are some news summaries so far. North Carolina appears to be the first state to pass a bill changing their sentencing laws to comply with the Supreme Court. It appears that NC will continue to allow JLWOP as an optional sentence along with the option of a life with parole sentence where parole opportunities begin after 25 years of the sentence for murder is served. This is now law in North Carolina. Here is some legal analysis about their new law. Our concern remains that all of the affected victims families of the 100 or so inmates reported to be affected by these changes will be notified immediately by the state. PA Offenders Qu’eed Batts/Ian Cunningham cases before Pennsylvania Supreme Court on Sept. 12. These cases are expected to establish key precedent for the JLWOP issue in the state going forward. The Batts case was decided in line with the Teague view of Miller, that the ruling only applied to current cases still open under direct appeal. Cunningham has not yet been decided. This state will be watched with great interest, due to the high number (over 300) of JLWOP cases. One such offender has already lost his appeal. State Senator Greenleaf who supports ending JLWOP sentencing held hearings Thursday July 12, from 10 a.m. on, at the state Capitol. Offenders from PA begin filing their challenges while victims respond. The Pennsylvania Supreme Court is hearing a case on this issue.